The following steps only apply if you signed in without a Microsoft account during the initial setup of your device and don't have an existing account to use. The first Microsoft account to sign in is designated as the owner of the device. Any subsequent accounts that are used to sign in won't have owner privileges (the ability to change or modify users, etc.). From the right edge of the screen, swipe left to display the charms menu. From the left-pane, tap or click Accounts. 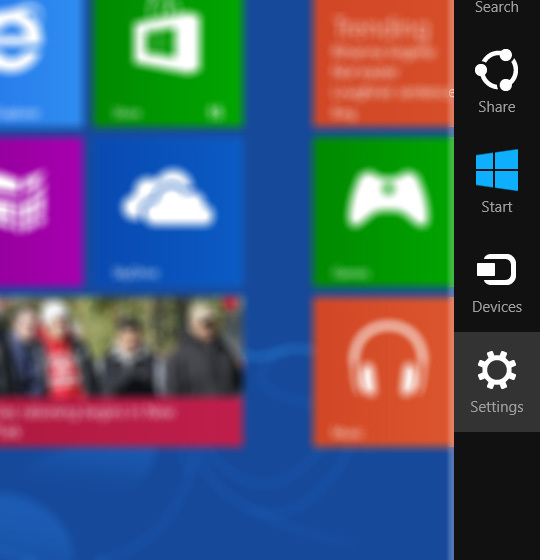 If not available, tap or click the left arrow icon (located in the upper-left) as necessary until 'PC settings' appears. 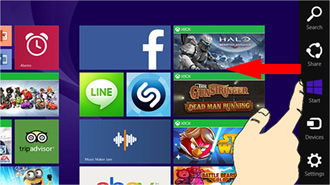 Tap or click Connect to a Microsoft account. If prompted, enter your current password (for the local account) then tap or click Next. Tap or click Create a new account (located in the lower-left). Enter the required info (e.g. Name, email address, password, etc.) then tap or click Next. If presented, follow the remaining step-by-step instructions to complete setup.